My pajama collection needs a pick-me-up, and with so many cute styles available it’s hard to choose just one! The second I saw this gorgeous green PJ set I fell head over heels. It’s a comfortable option that still exudes a subtle sexiness – the shade + the silk-satin fabric is fluid on your skin and looks so luxurious! It also comes in this pretty purple print and this regal violet pant version. I’m obsessed, to say the very least. 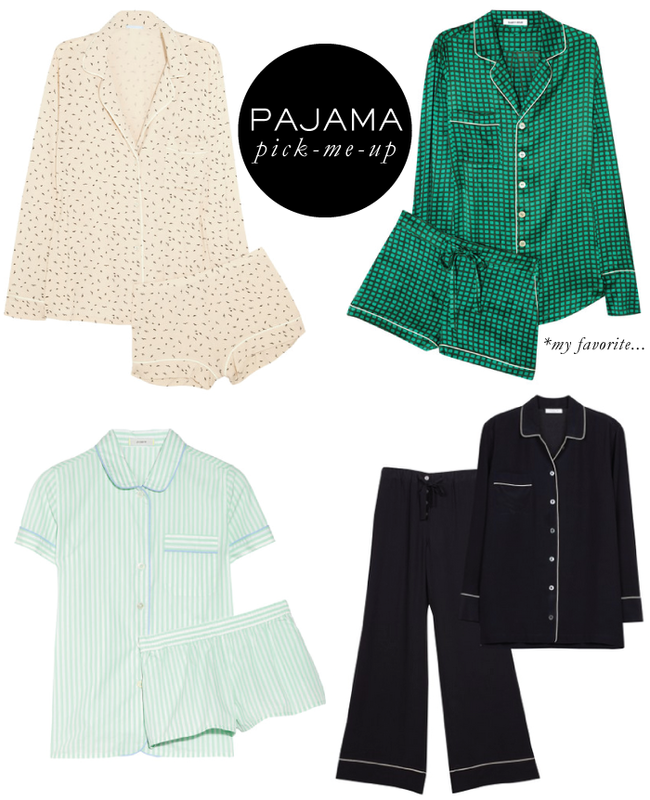 Here are some other bedtime options to revive your sleepwear – which is your favorite? Love the emerald green one, but my wallet loves the J. Crew one! Such cute options! That j.crew set is so cute. Is it weird that I would definitely wear the top with white jeans or denim cutoffs? I am obsessed. xo. I have been wearing “real” pajamas lately and I am obsessed. It’s perfect for when you’re traveling or when you have guests too! Nice pj’s…I really need to upgrade in the department too.